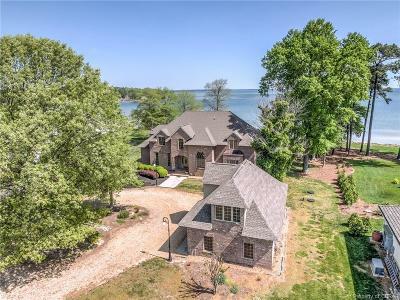 BREATKTAKING VIEW OF THE BAY FROM THIS CUSTOM ALL BRICK HOME! BEAUTIFUL SAND BEACH FOR YOUR ENJOYMENT! Perfect water for swimming, crabbing and boating. GOURMET KITCHEN WITH CUSTOM CABINETS, CENTER ISLAND, DECOR RANGE AND SO MUCH MORE! BRAZILIAN CHERRY FLOORS, 1 ST FLOOR OFFICE WITH FIREPL AND PIANO ROOM! ALSO THE OWNERS BEDROOM IS ON THE MAIN LEVEL WITH LUX BATH INCLUDING UNIQUELY DESIGNED SHOWER - MUST SEE! STAIRCASE FLOWS TO THE 2ND FLOOR WITH VIEWS OF THE RAPPAHANNOCK RIVER & THE BAY. ALSO ABOVE GARAGE IS A FULL STUDIO APARTMENT INCLUDING FULL BATH! IS A TRULY MUST SEE HOME! 1year home warranty included. Property is not in a flood zone. Only minutes from Irvington, Kilmarnock, fine dining, museums, quaint shops, YMCA and hospital. Porposies playing in the bay are fun to watch. Priced below 2019 county assessment.